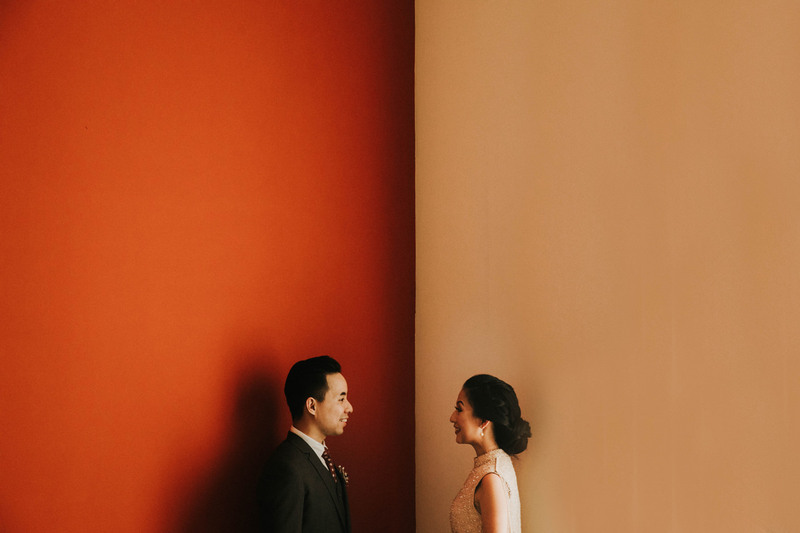 Inka and Jon first met during a Junior Year Summer Internship in Singapore. 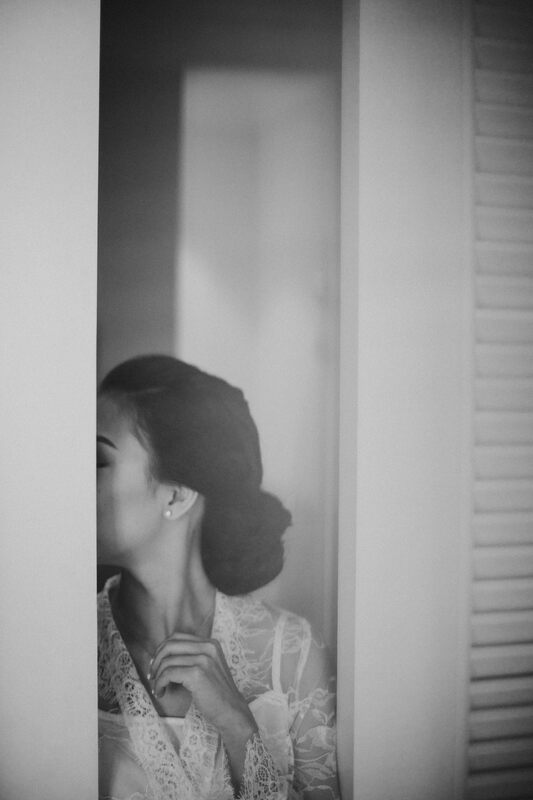 Inka thought Jon was snobbish, and Jon said Inka didn’t leave much of an impression. 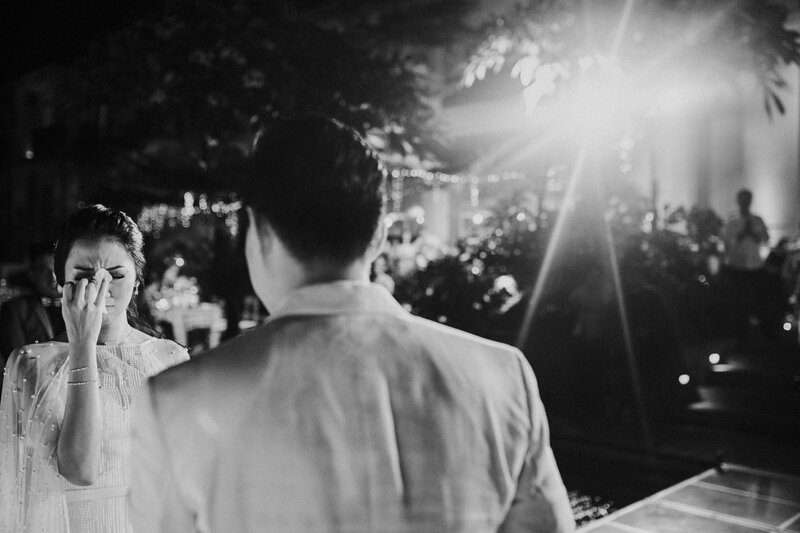 So much for love at first sight! 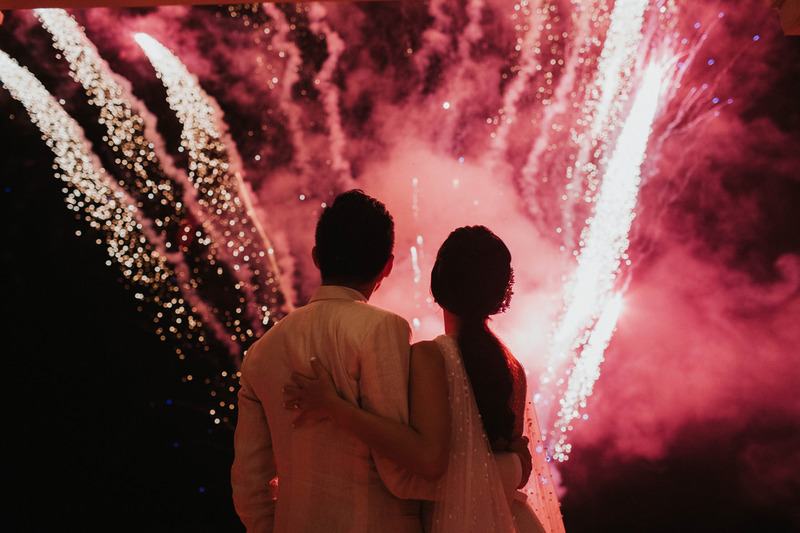 But who knew that it was only the beginning of their love journey? 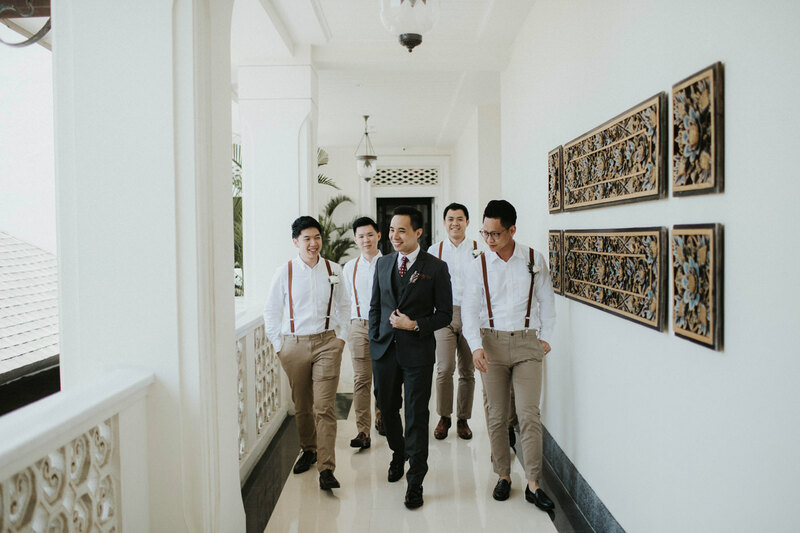 Just after 9 weeks of that, they started chatting on office messenger which lead to conversation in Whatsapp where they would talked and discussed lots of things. 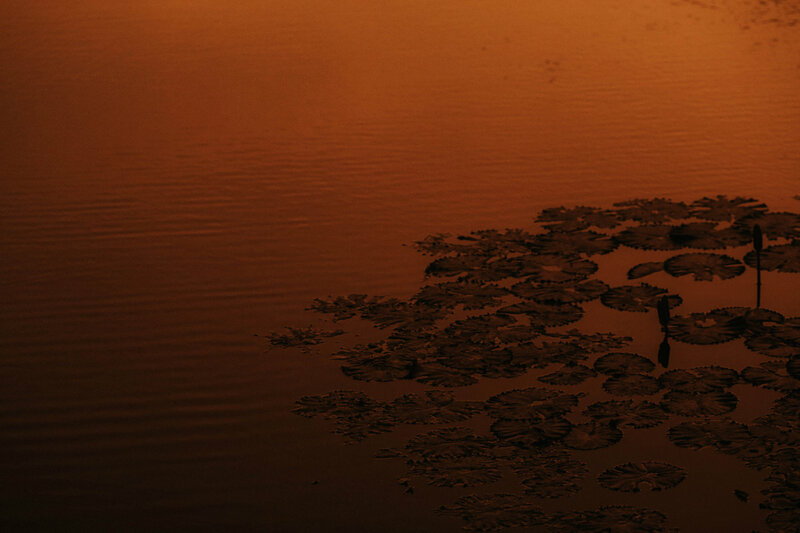 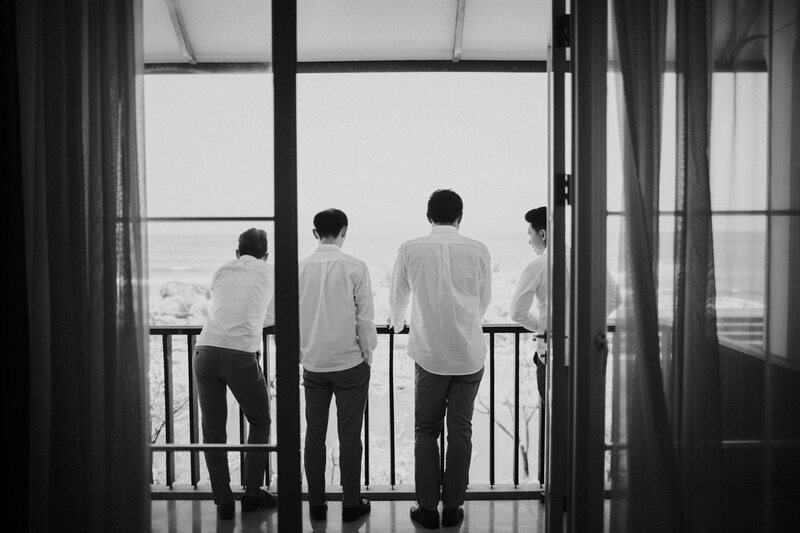 Eventually they realised that they clicked, and became inseparable since. 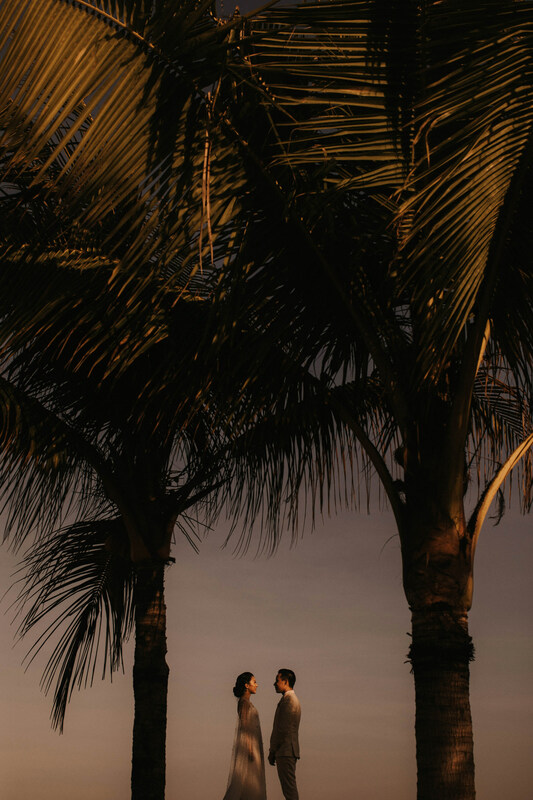 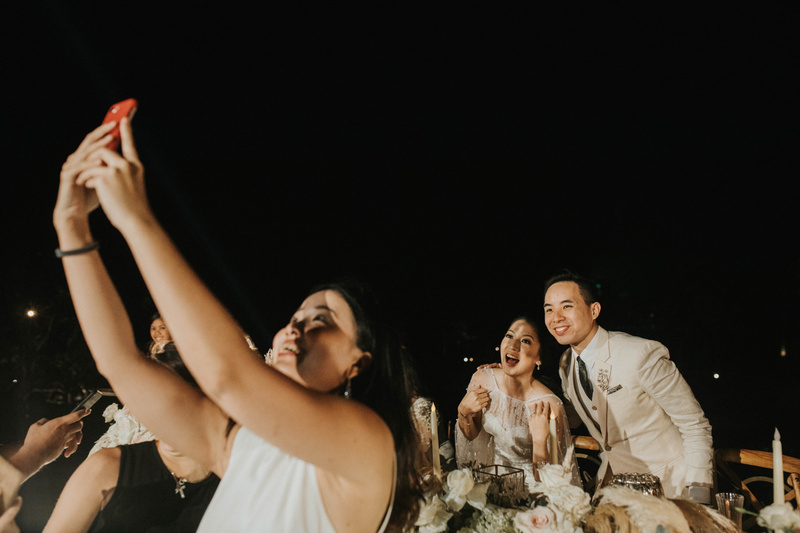 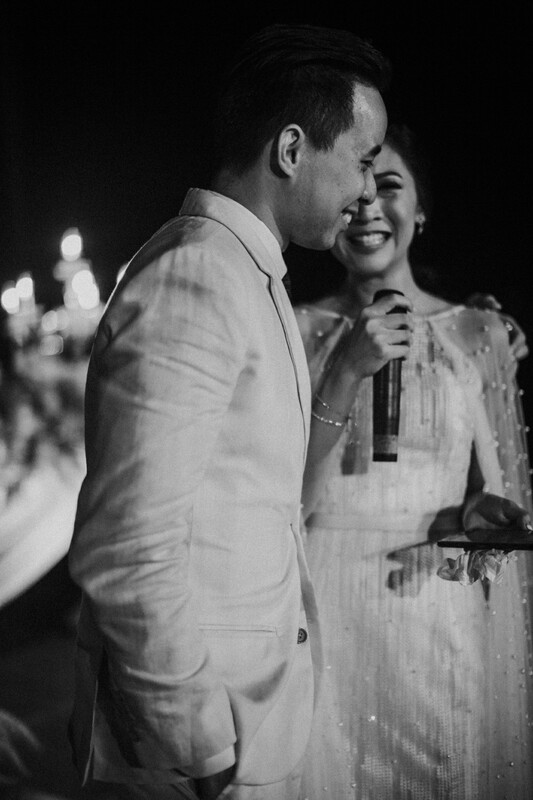 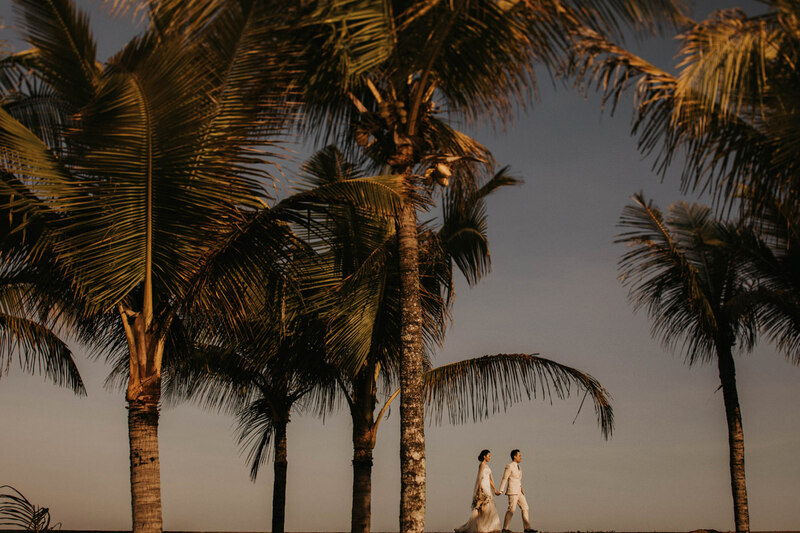 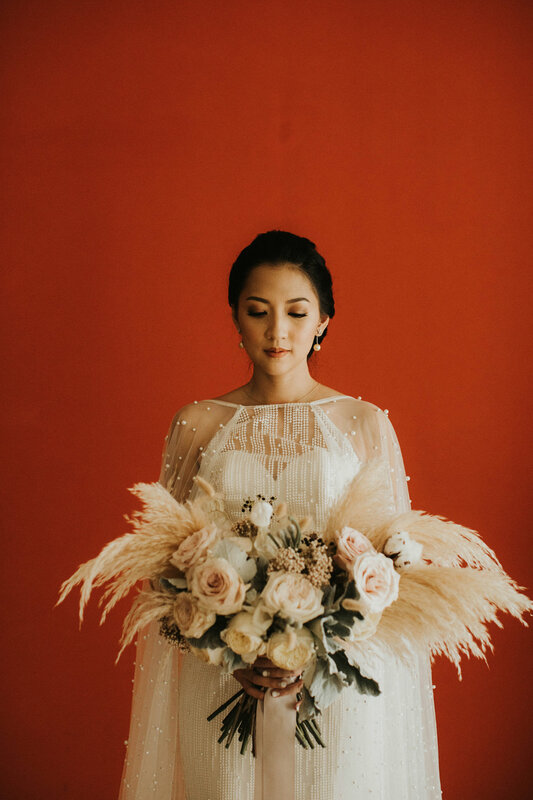 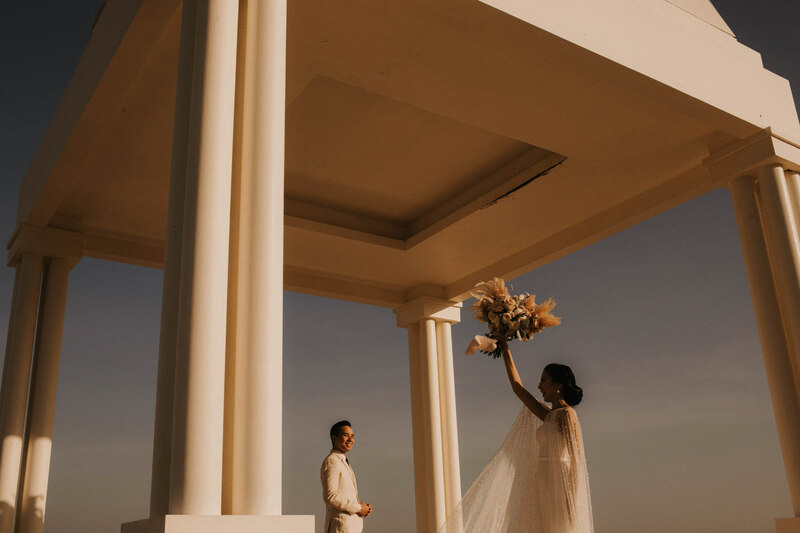 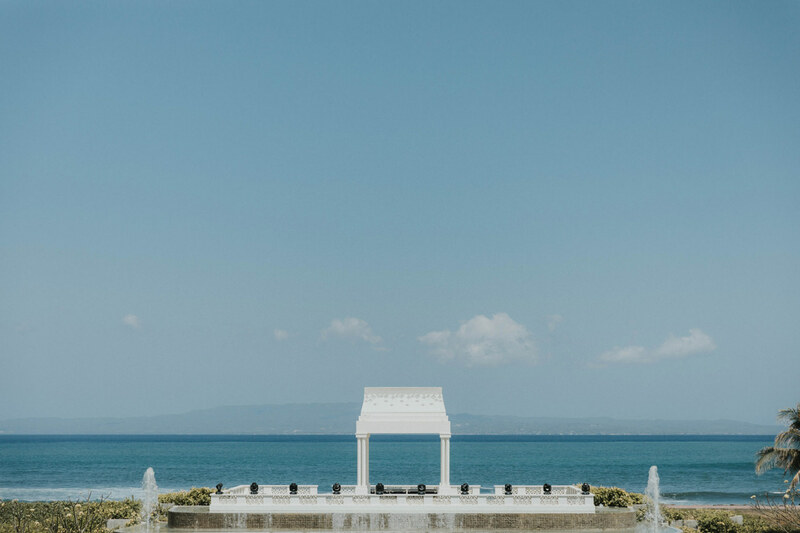 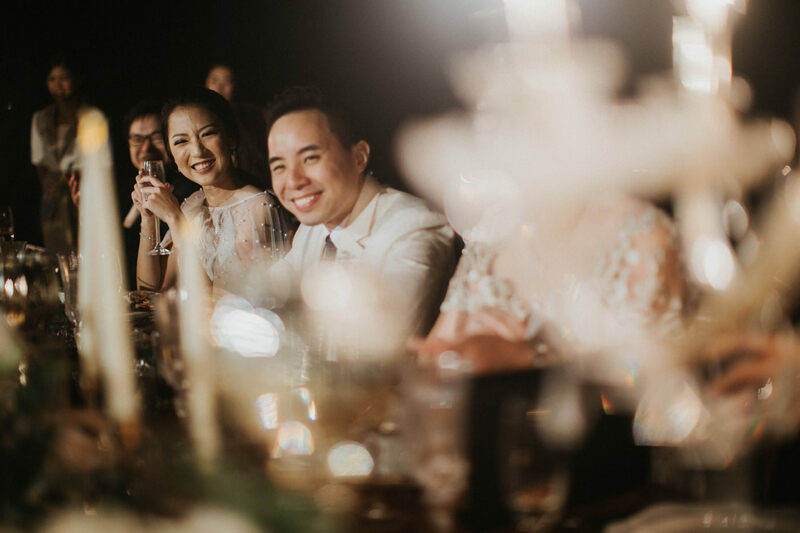 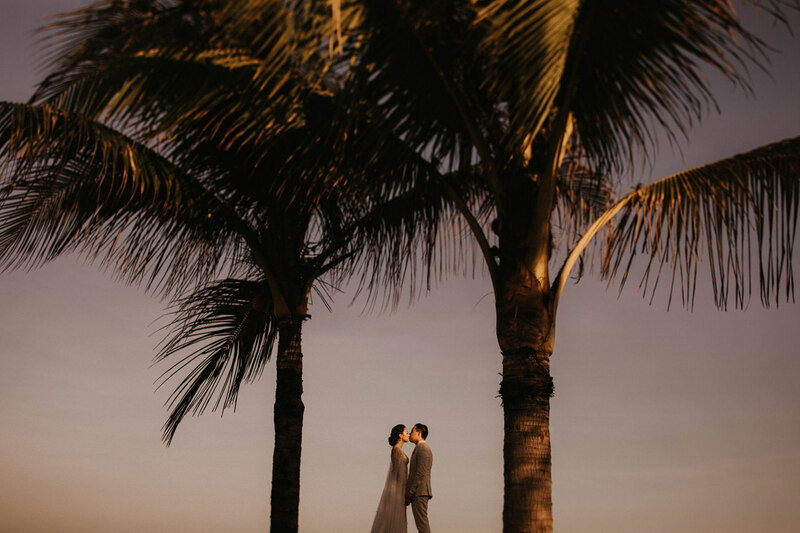 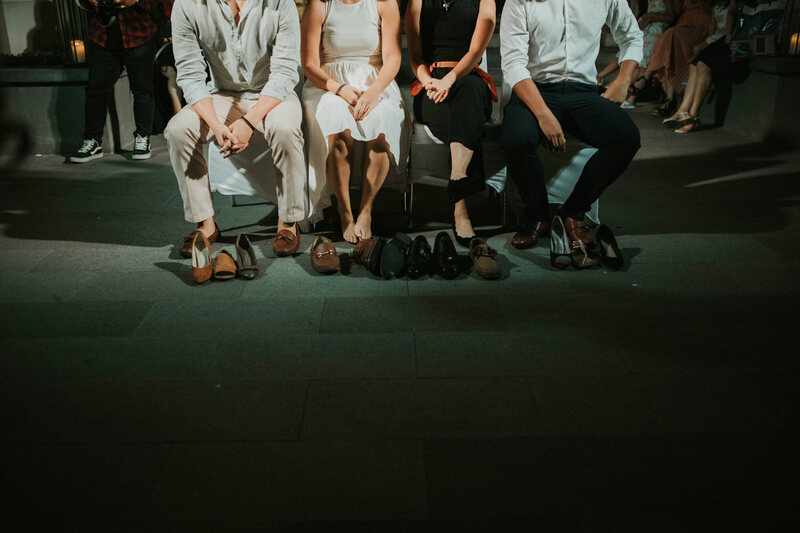 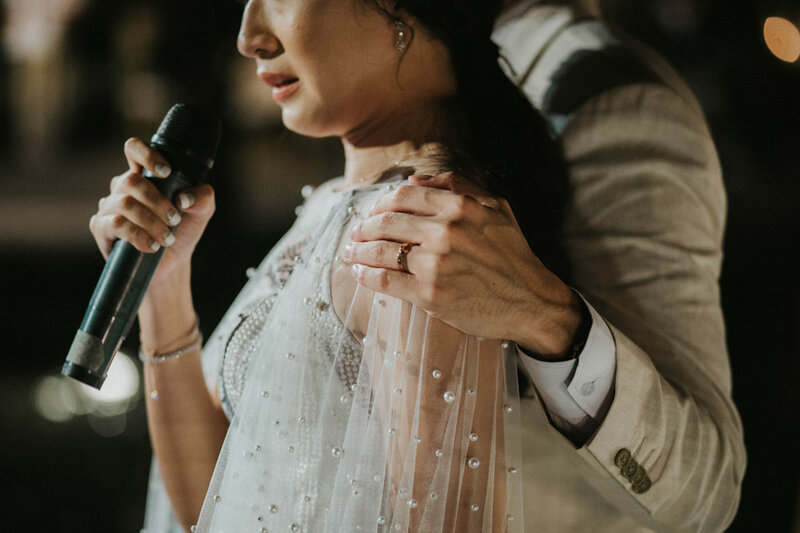 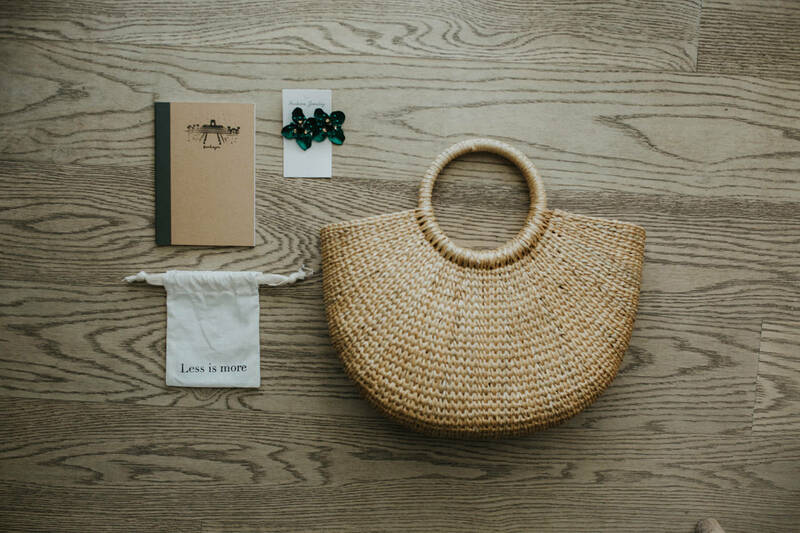 Other than dreaming of a timeless and minimalist wedding in the Island of Gods, Inka and Jon also envisioned to get married surrounded by their closest friends and family who truly care for them. 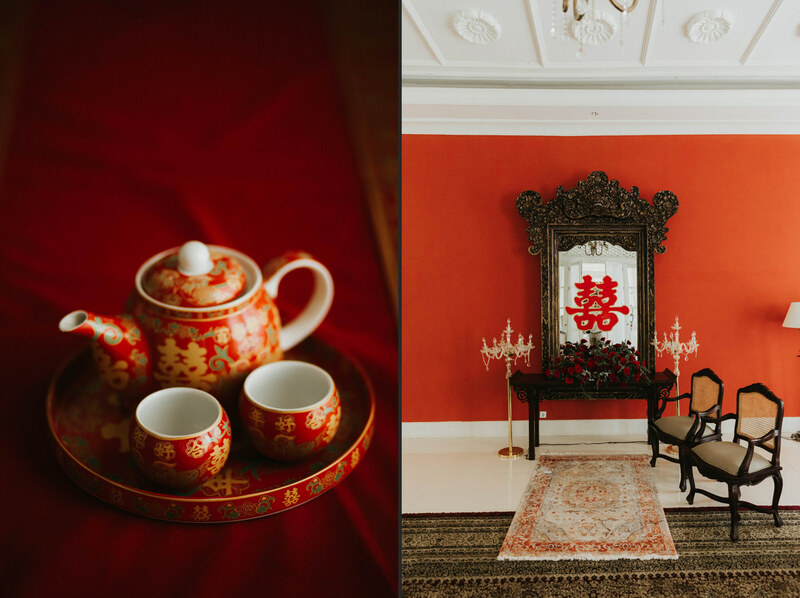 Also charmed by the colonial vibes in Rumah Luwih, they agreed on the venue very early on without even looking at other options. 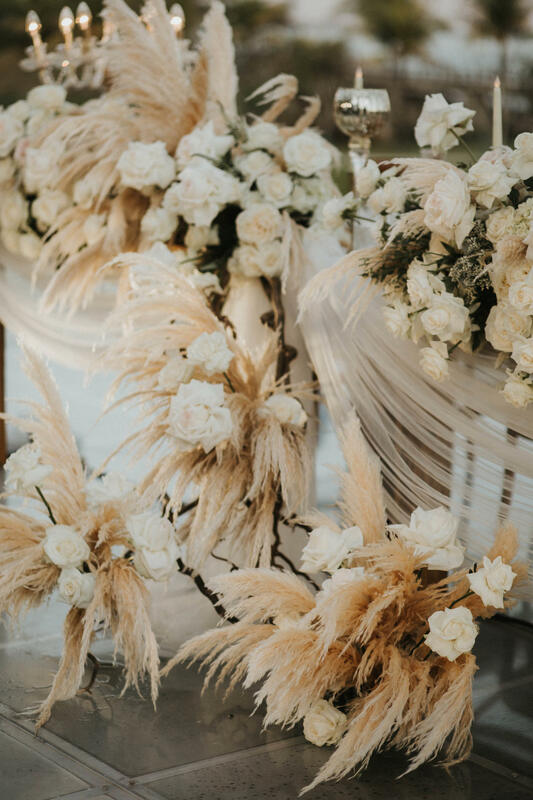 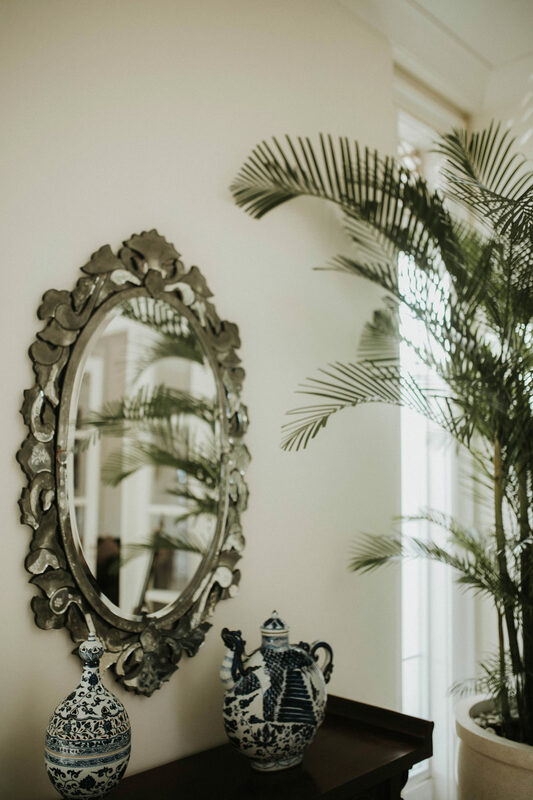 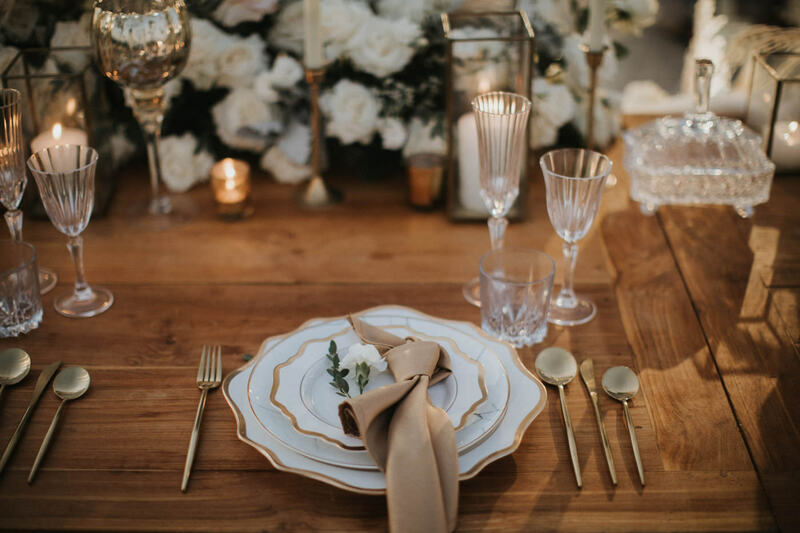 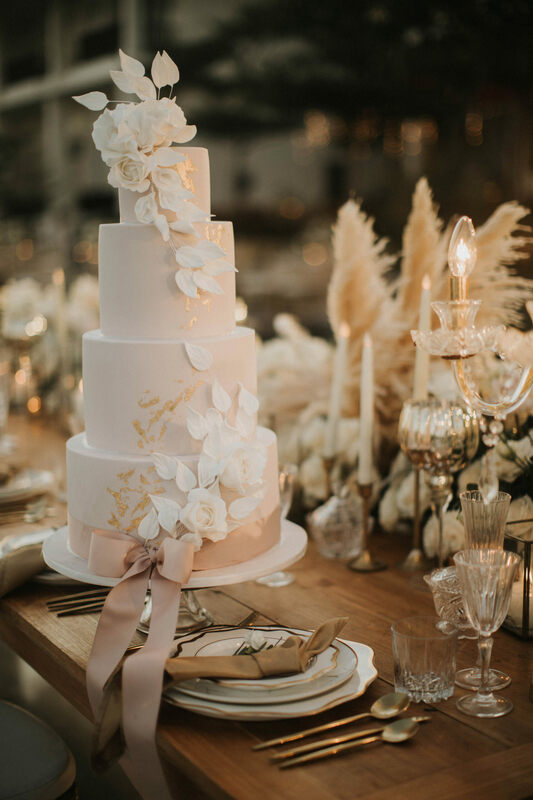 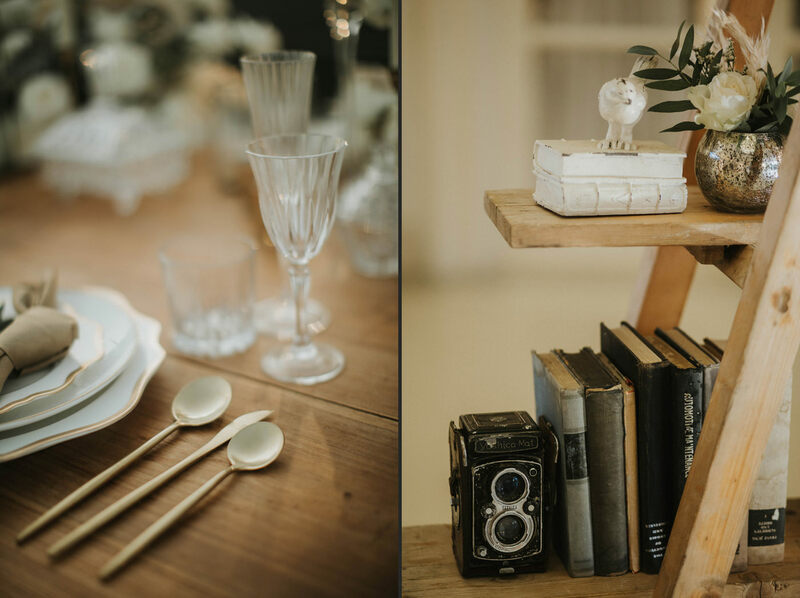 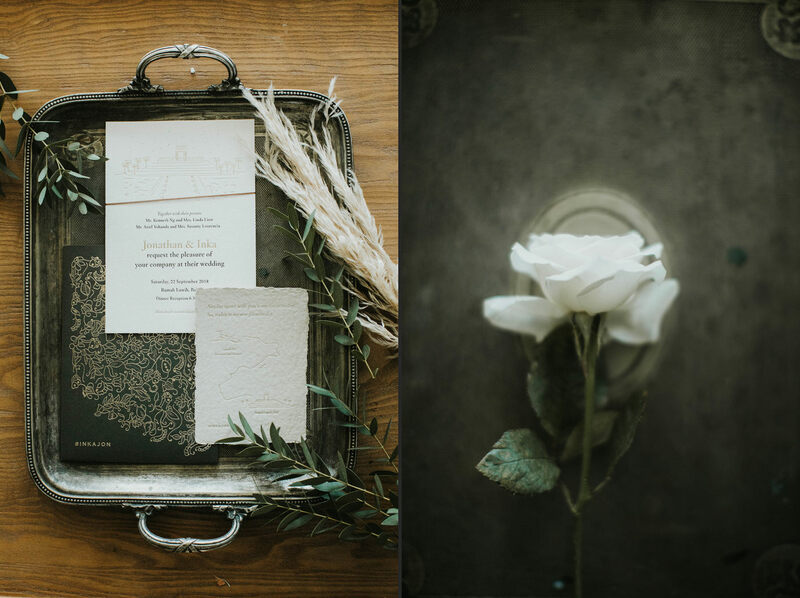 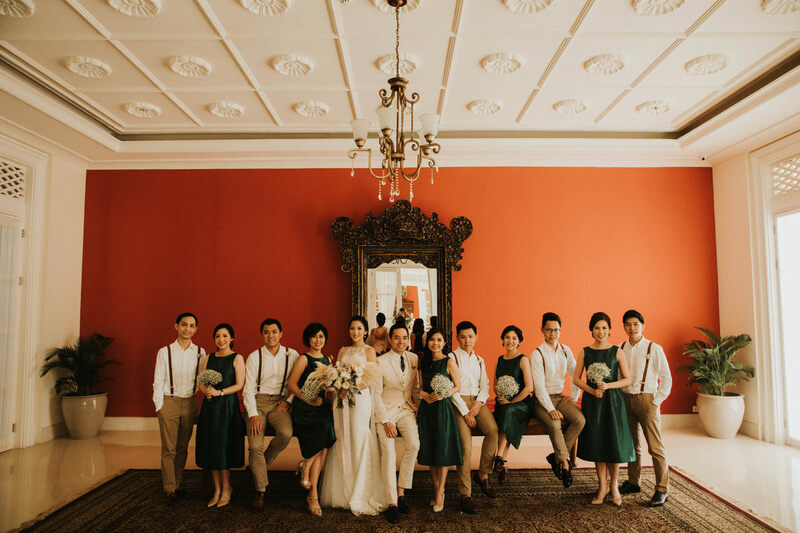 After finding their perfect location, both lovebirds focused on simplicity of their wedding theme and colour palette: off-white, with green and bronze accents. 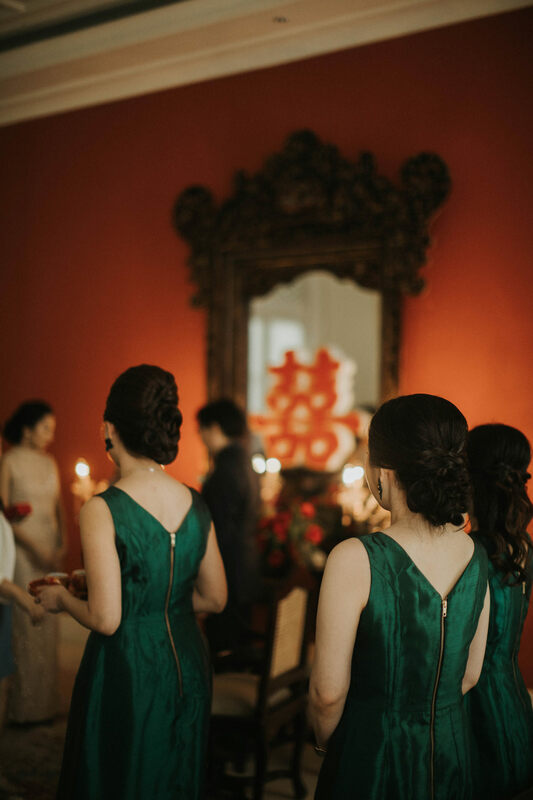 And just like the aesthetic of their whole decoration theme, they settled to incorporate the element of Indonesian and Singaporean cultures (Batik design and Chinese writing) on their invitation design. 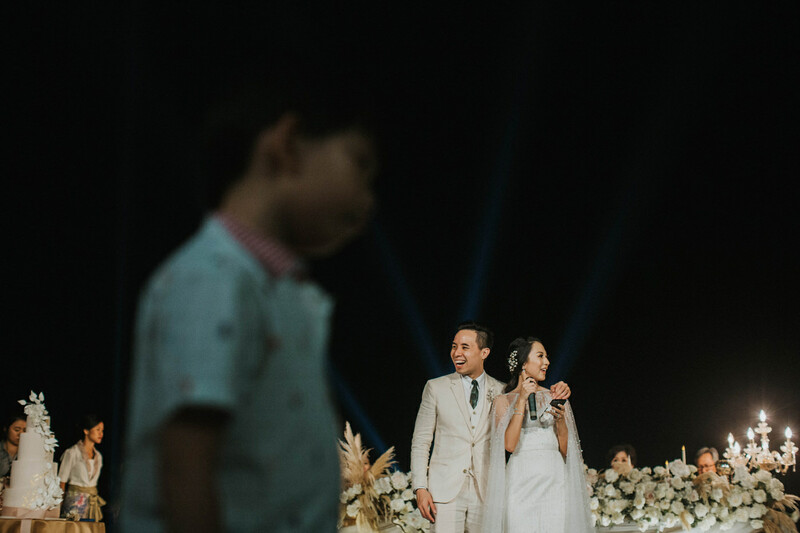 Inka and Jon had their biggest day filled with joy and love, despite being miles away from home. 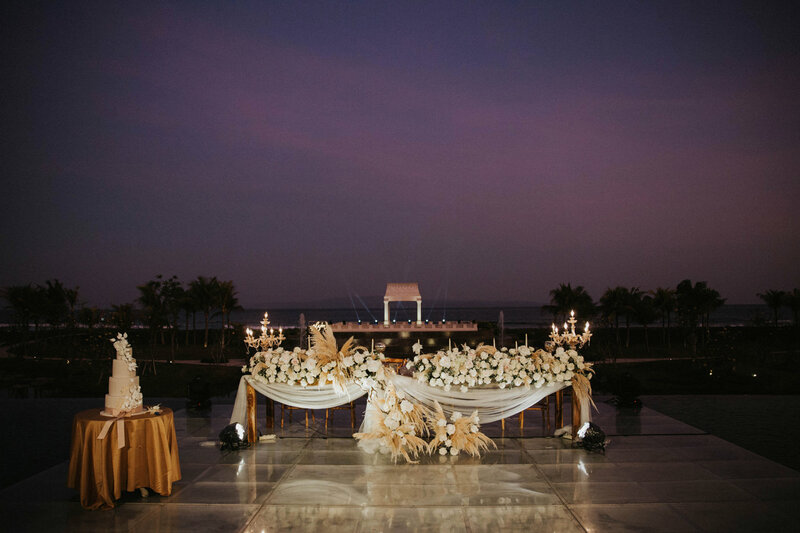 The open-air reception party was decorated with some intimate and romantic touches. 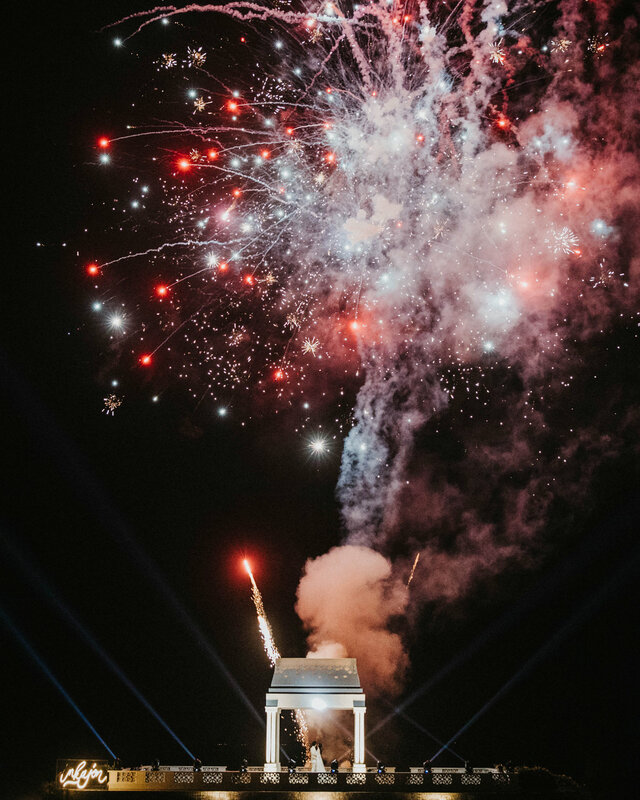 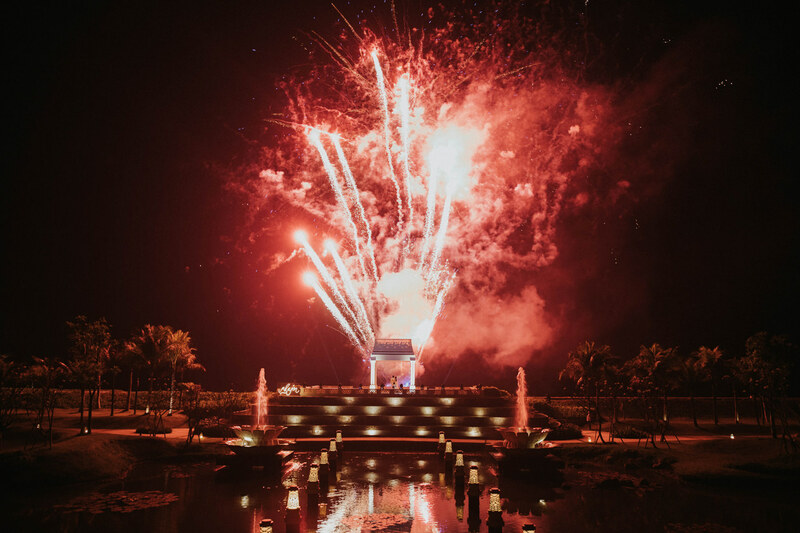 And under the moonlight, the soiree ended with festive fireworks and all the guests gathered to dance in the breeze. 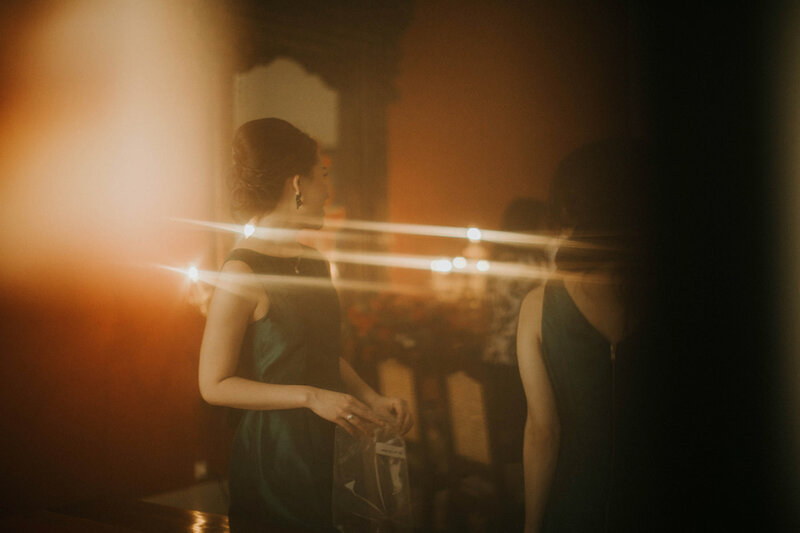 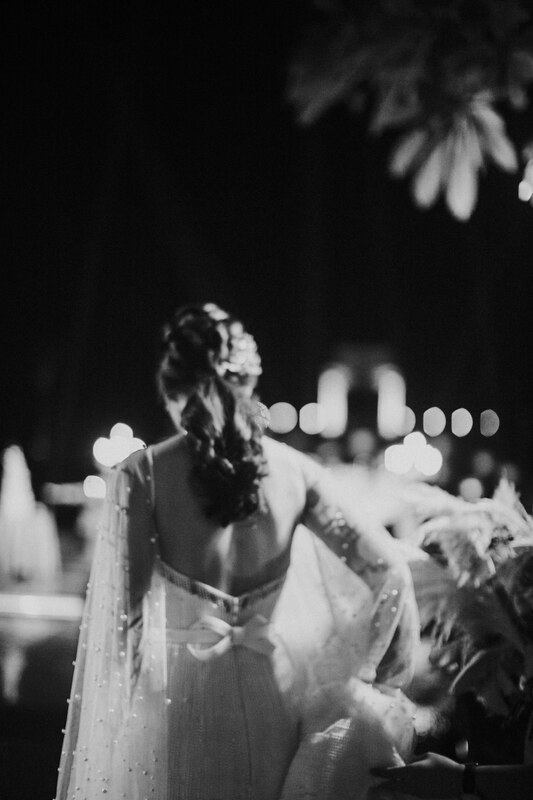 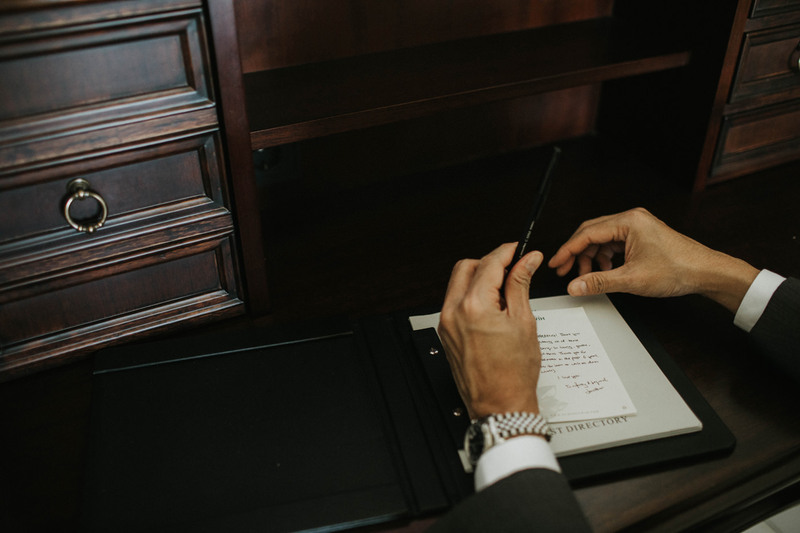 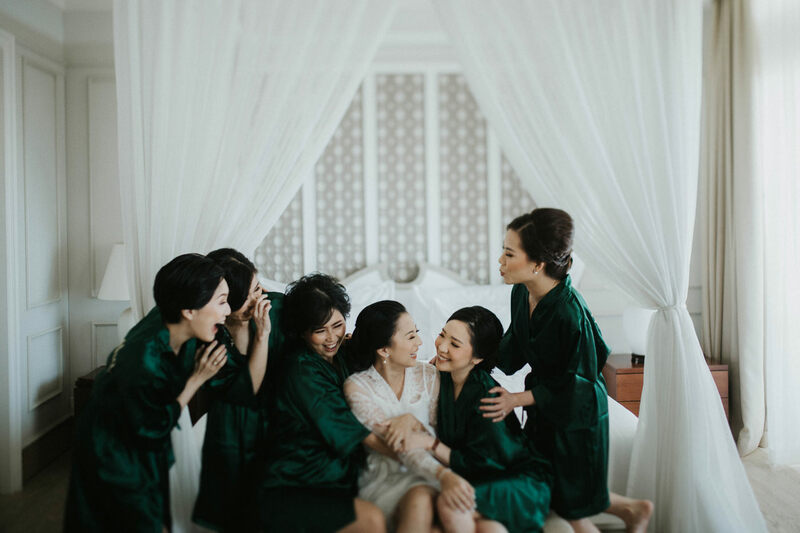 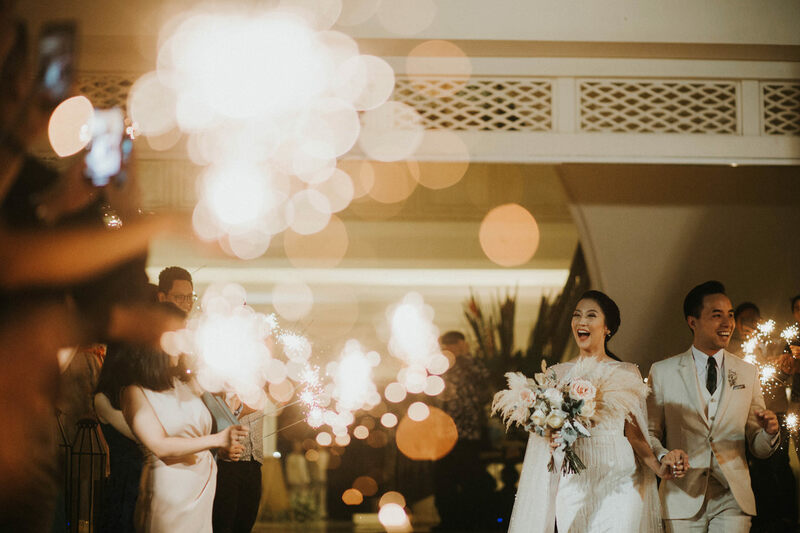 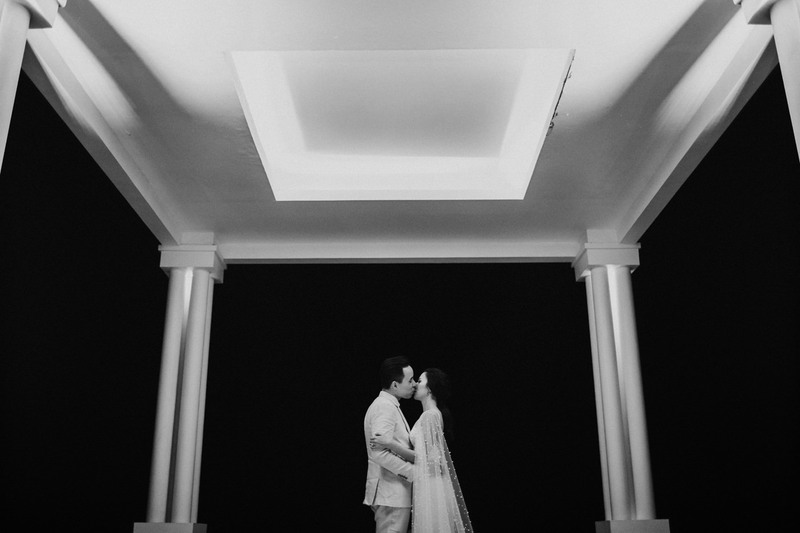 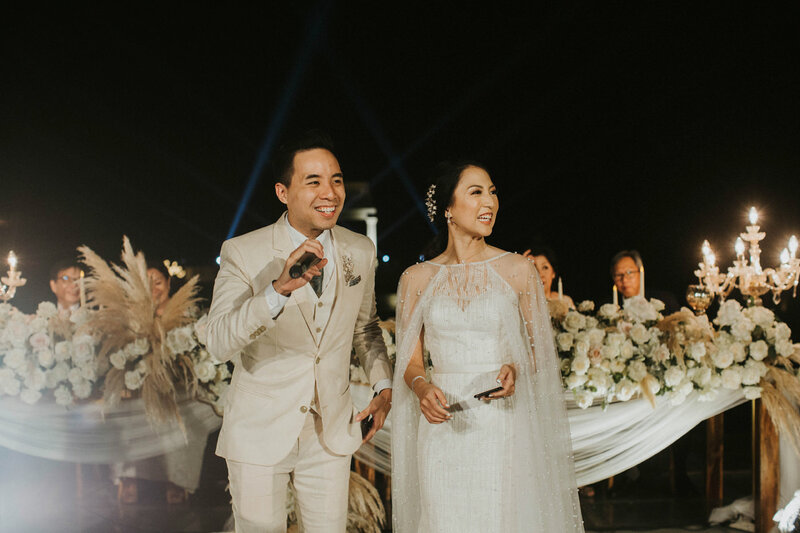 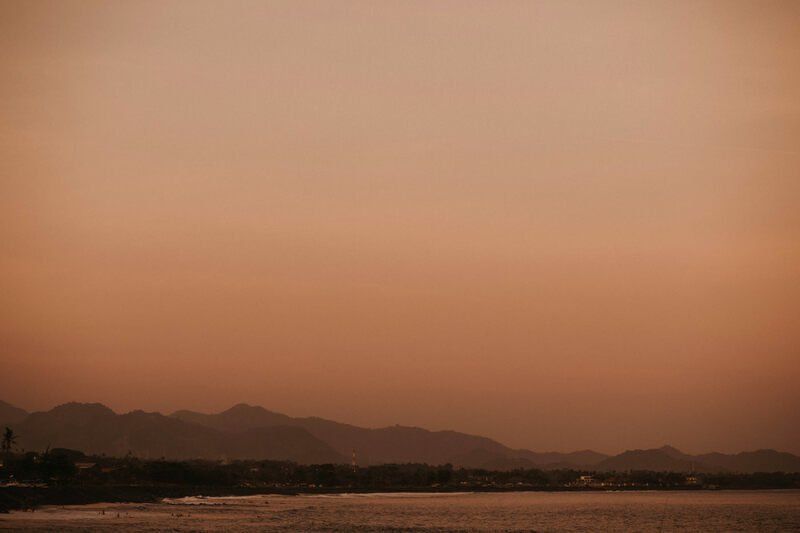 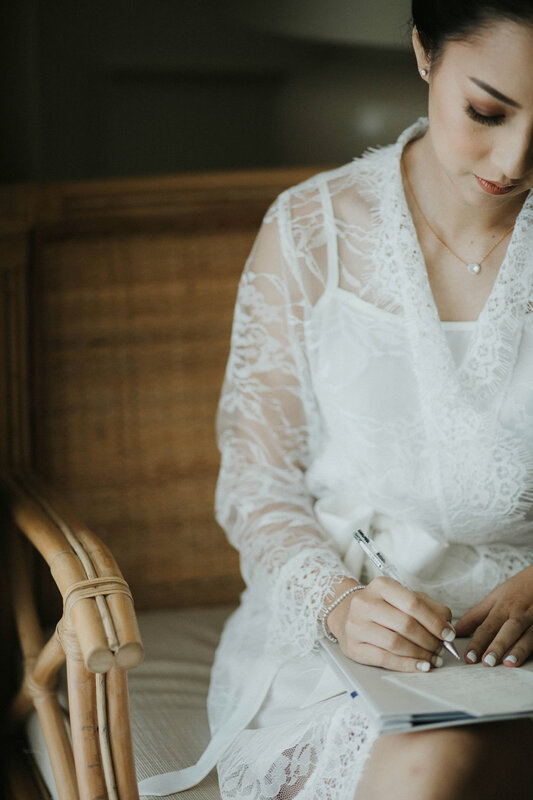 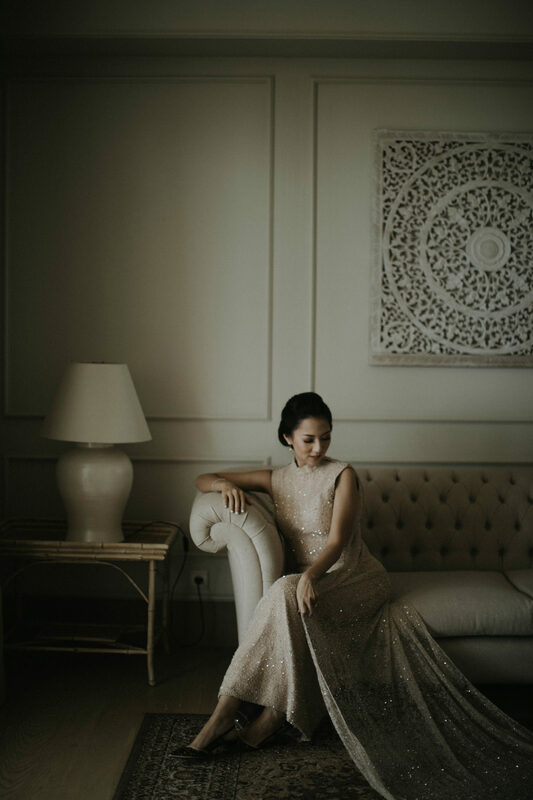 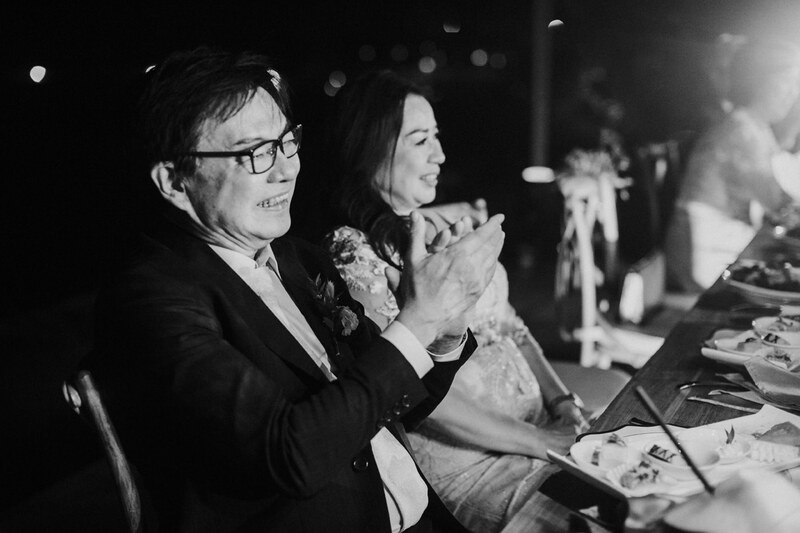 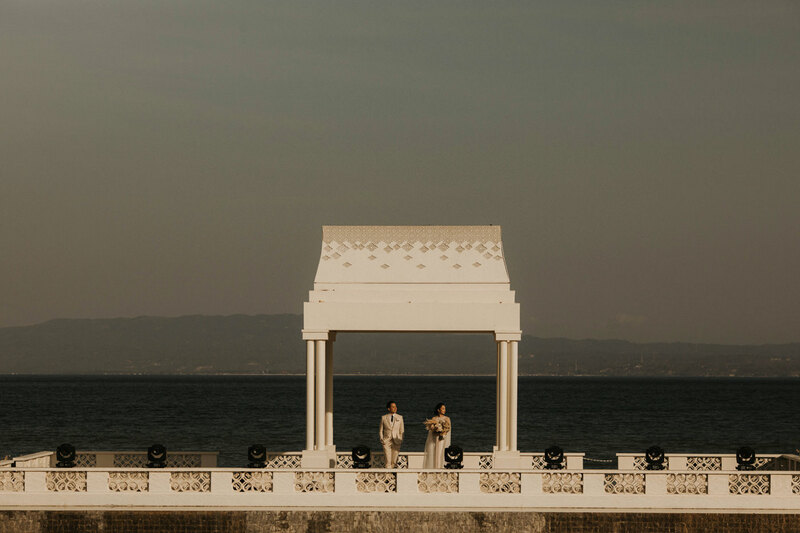 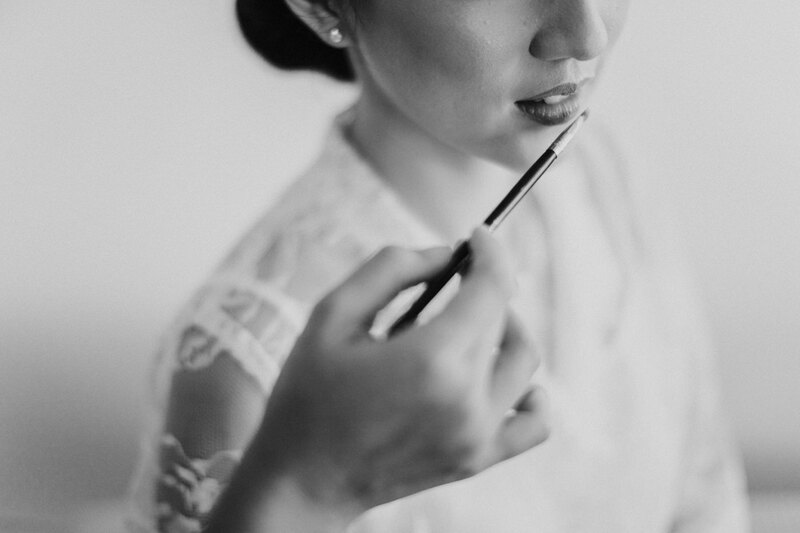 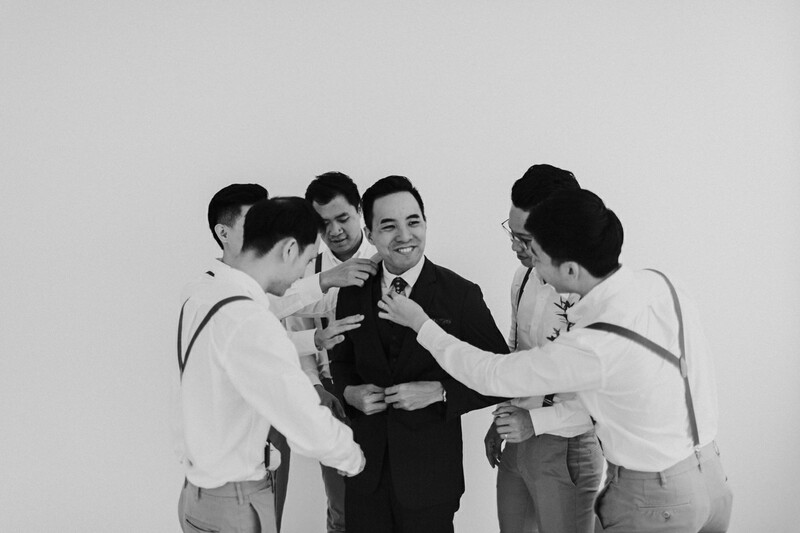 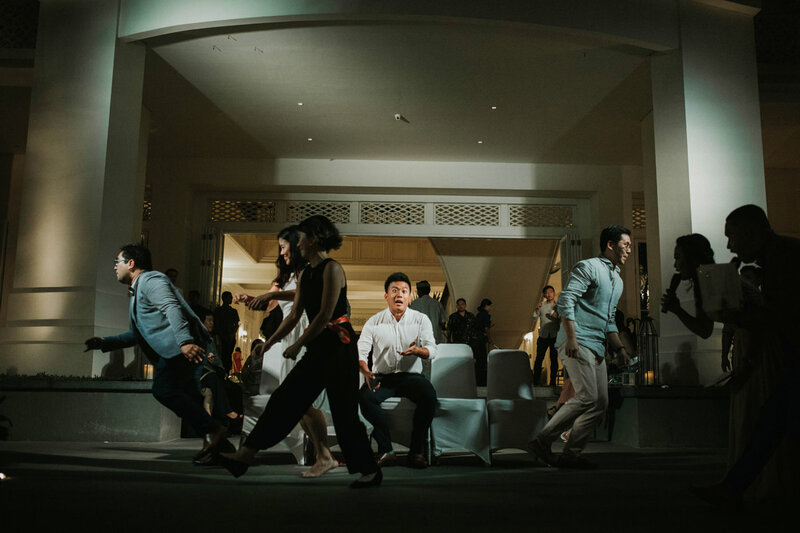 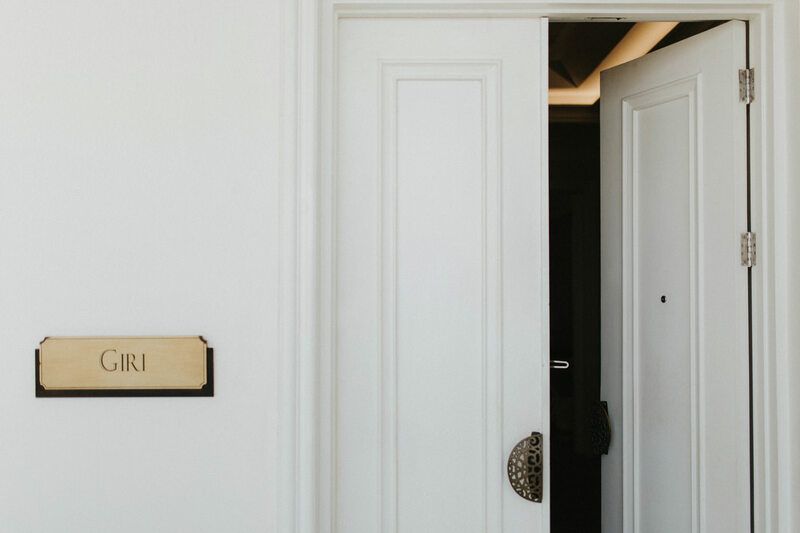 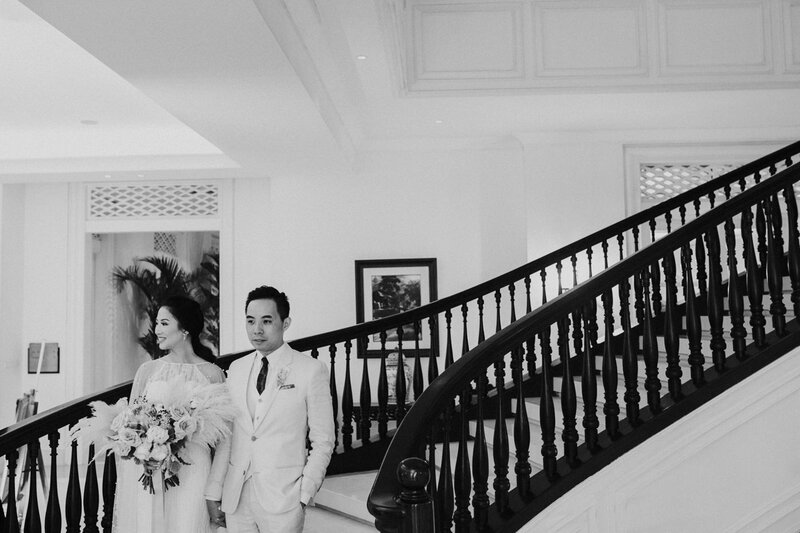 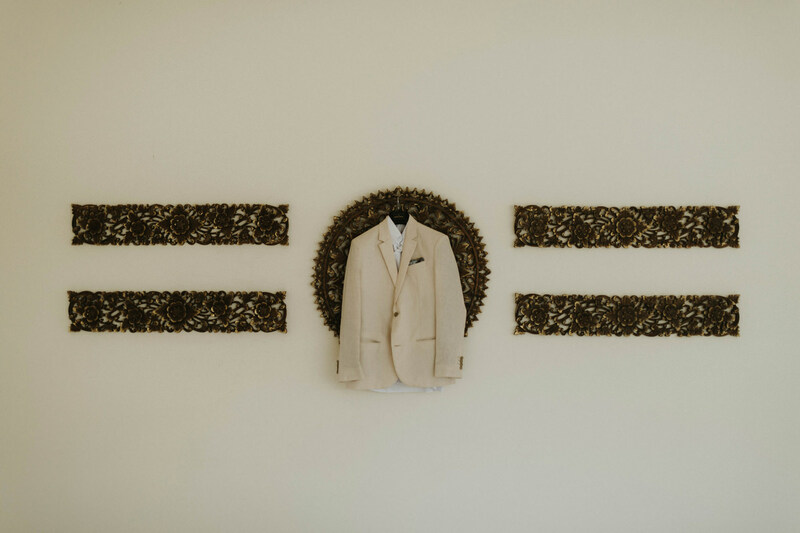 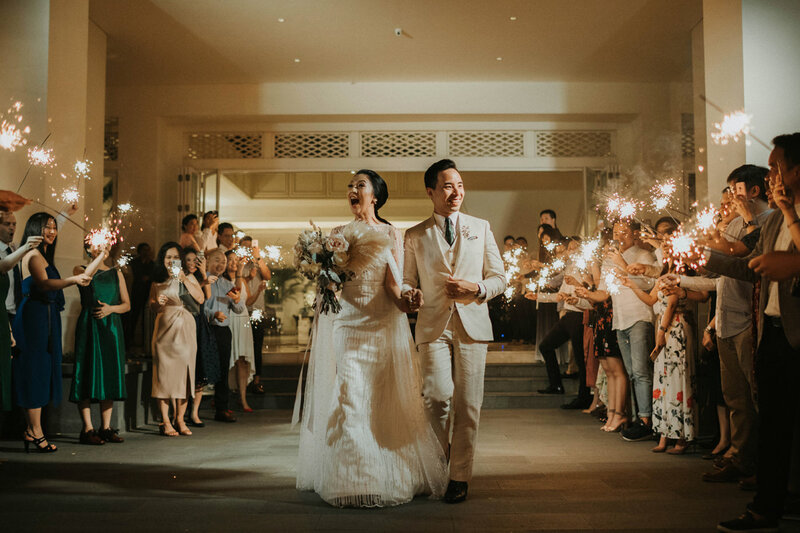 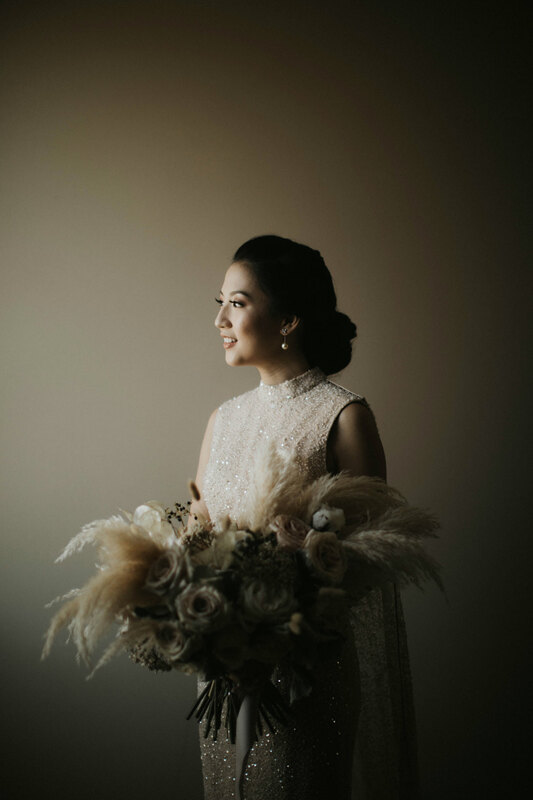 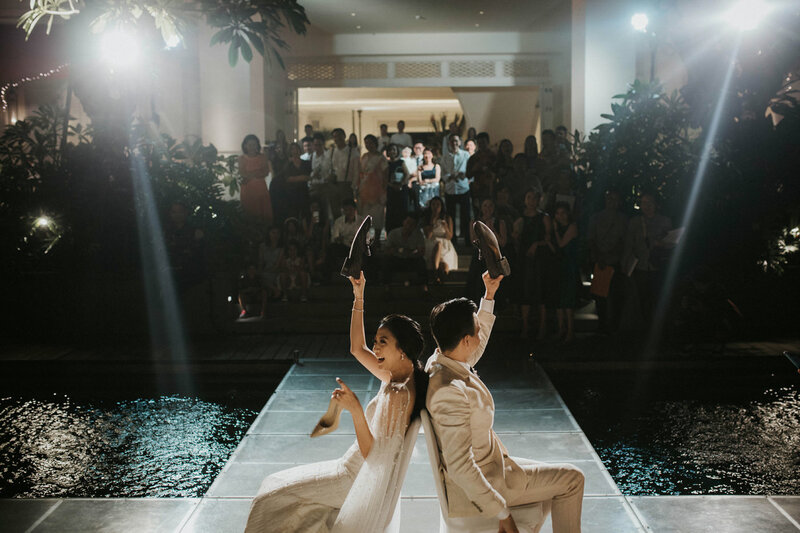 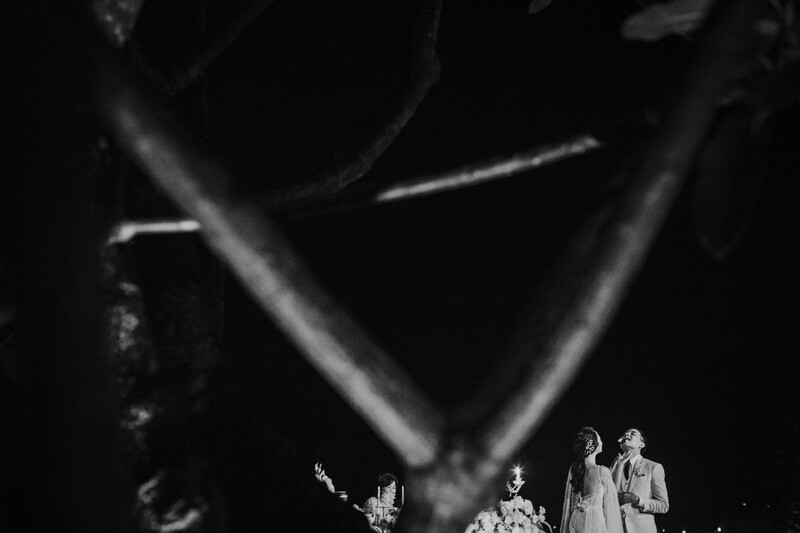 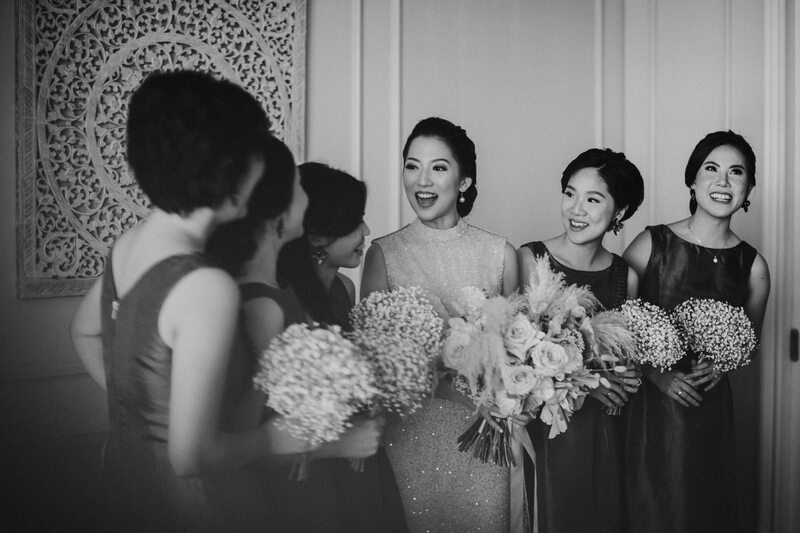 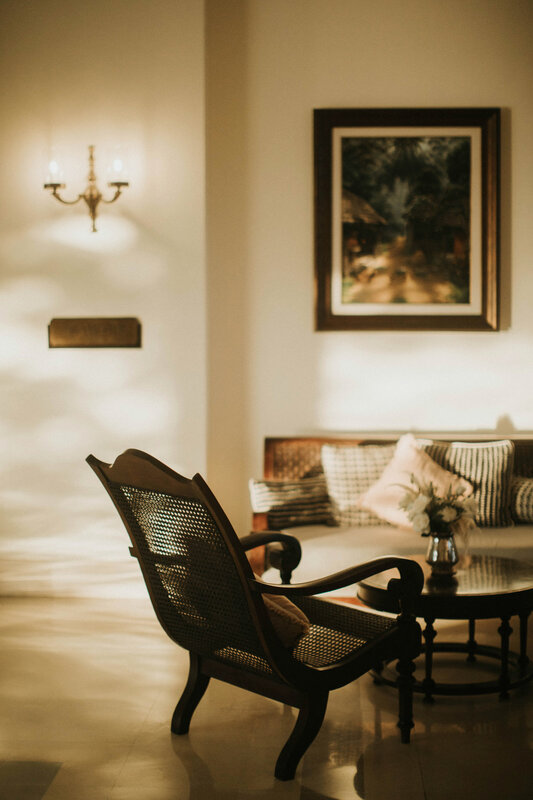 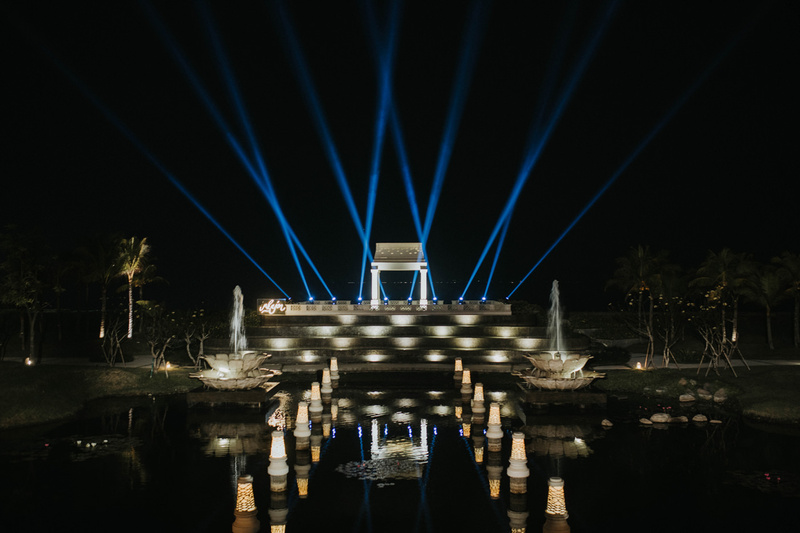 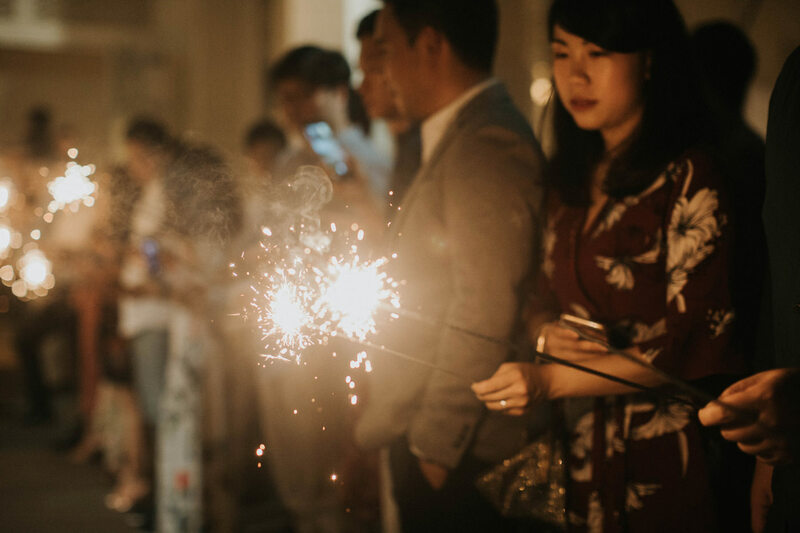 Take a look at Inka & Jon’s Rumah Luwih Wedding album below captured by our team! 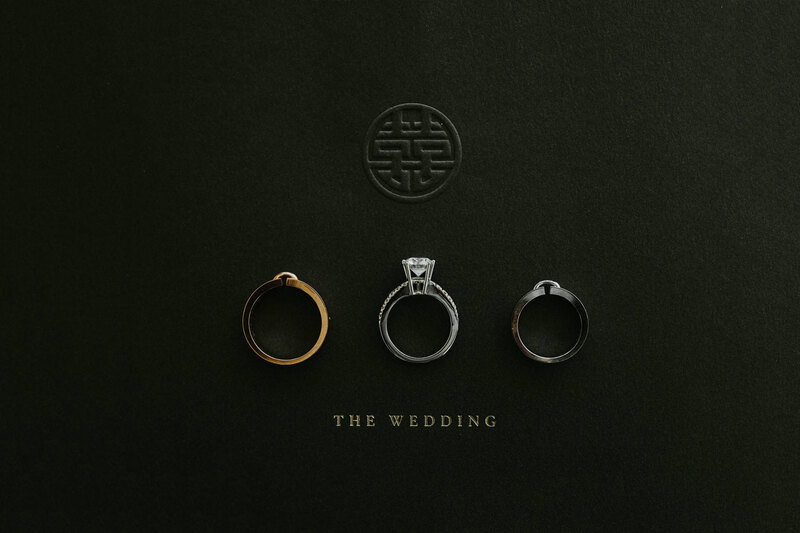 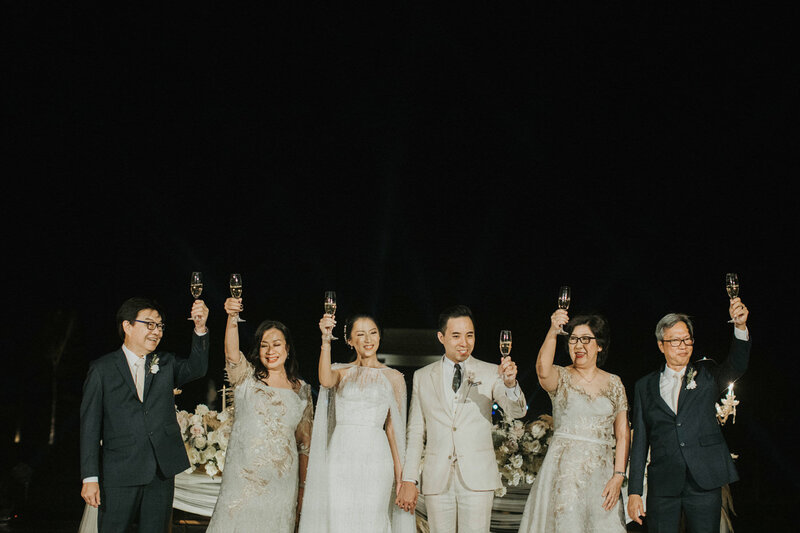 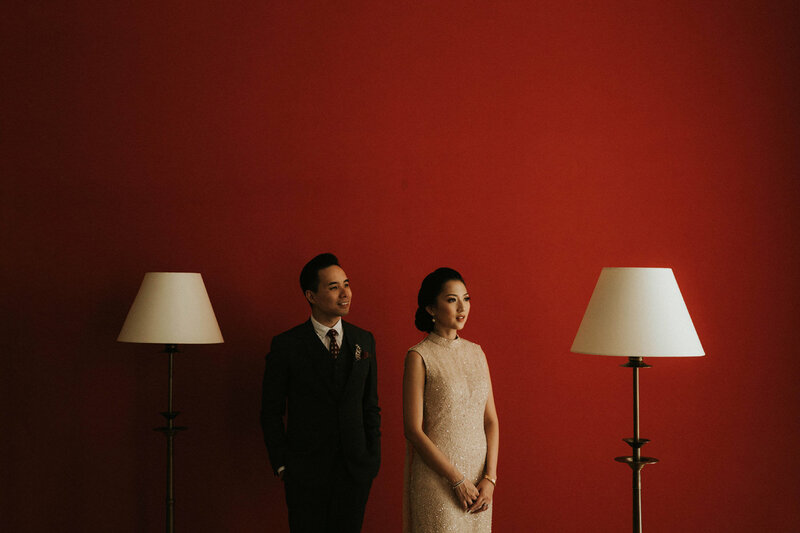 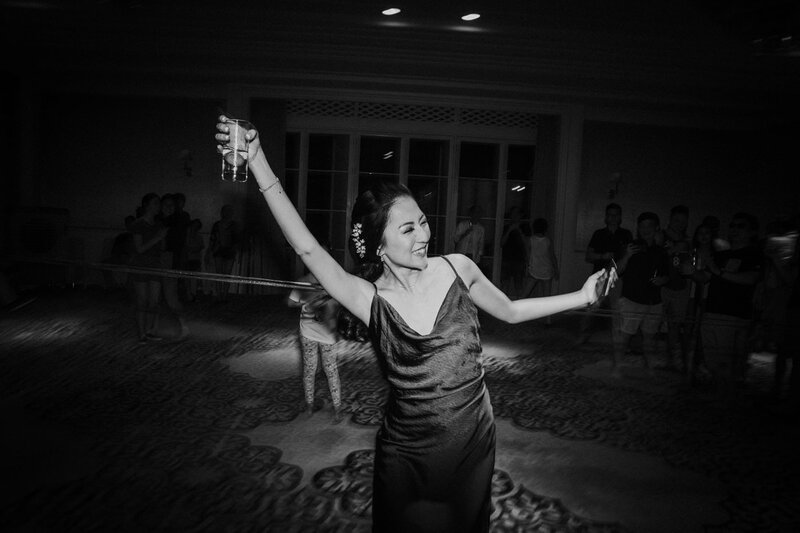 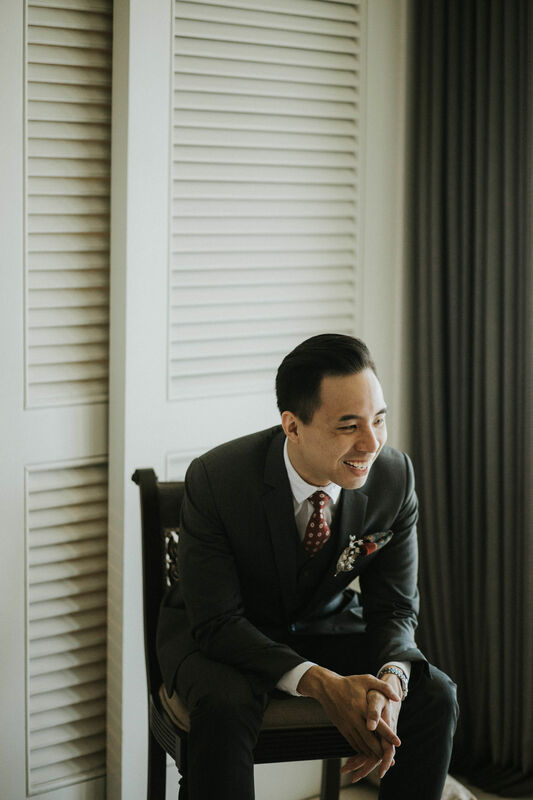 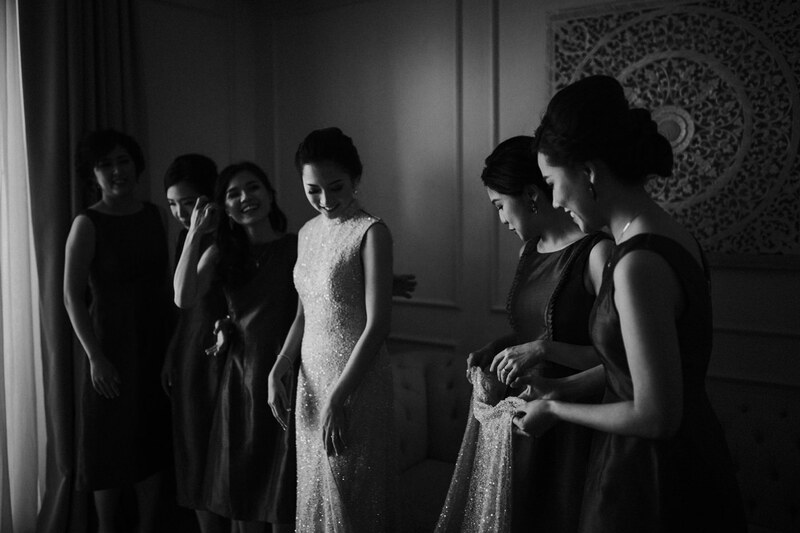 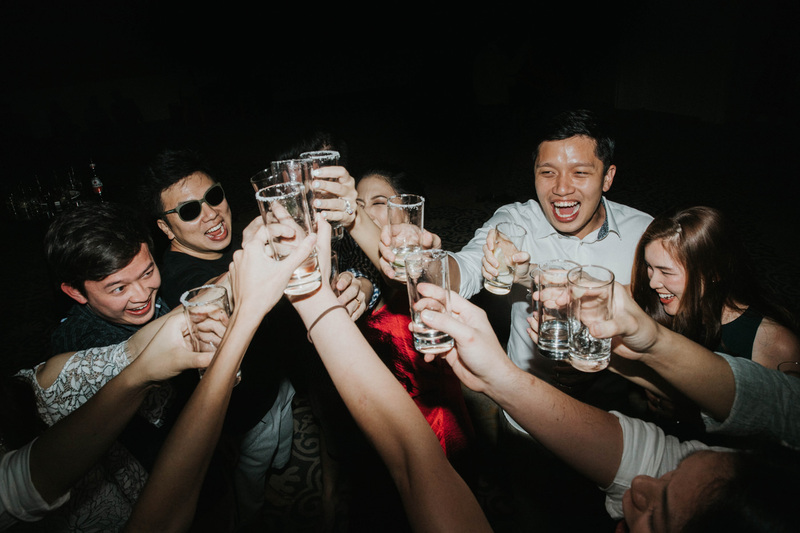 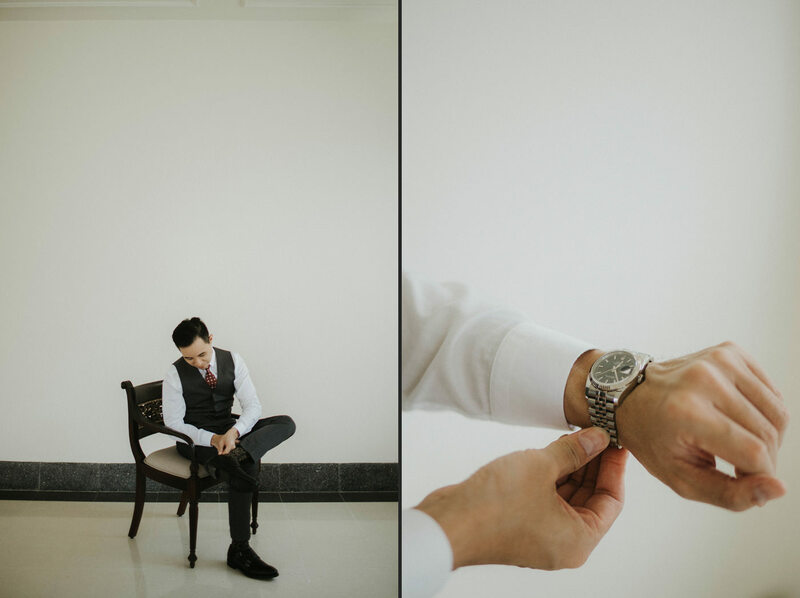 Continue the adventure to the Wedding Day of Asseta & James in Four Seasons Jakarta.